We had a hire car the whole time we stayed in Zaragoza so having explored all parts of the city we were keen to get out and about and see more of the surrounding area. 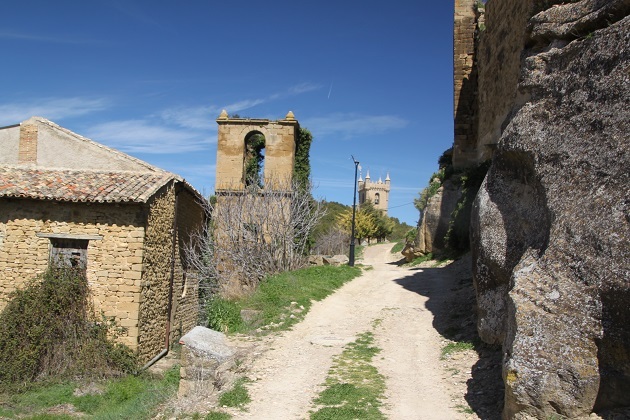 We found a monastery and put that on the visit list, but our Spanish friends recommended a day trip to the Cinco Villas enthusing about this beautiful part of Aragon and two little villages in particular. We set off, on the drive it really struck home how isolated Zaragoza is from just about everywhere else. A two hour plus drive and we arrived at the Cinco Villas, reasonable roads all the way but no sign of civilization and barely another car in sight for the whole of those two hours. 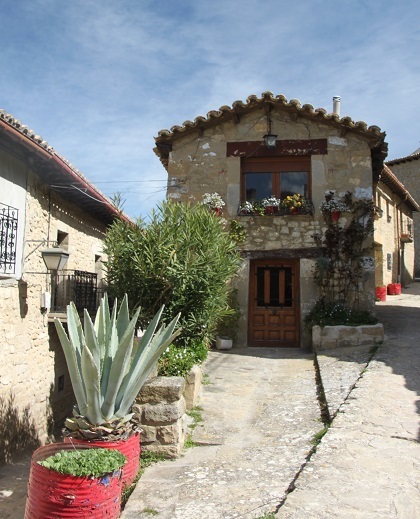 The Cinco Villas is north of Zaragoza and stretches for 90km along the border with Navarra. 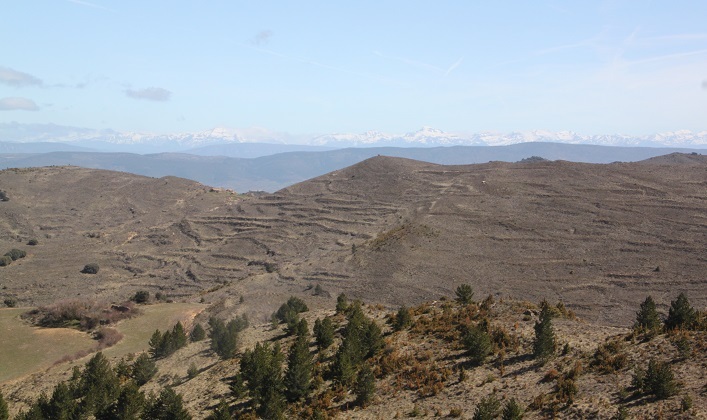 We found delightful, deserted countryside and marvelled how close we were to the snowy peaks of the Pyrenean Mountains. Getting out of the car to take pictures I marvelled at how the temperature had dropped incredibly in this area. We were shivering, astounded by the chill wind that seemed to be coming from those snowy peaks. 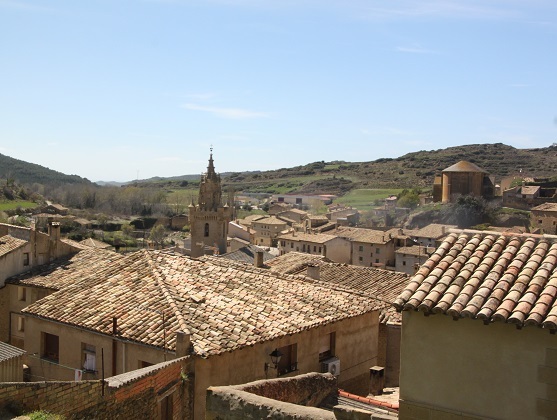 Sos del Rey Catolico was our first port of call – the guidebooks call this the most visited town in Northern Aragon. We saw four people the whole time we were there. The streets were deserted and we had it all to ourselves. 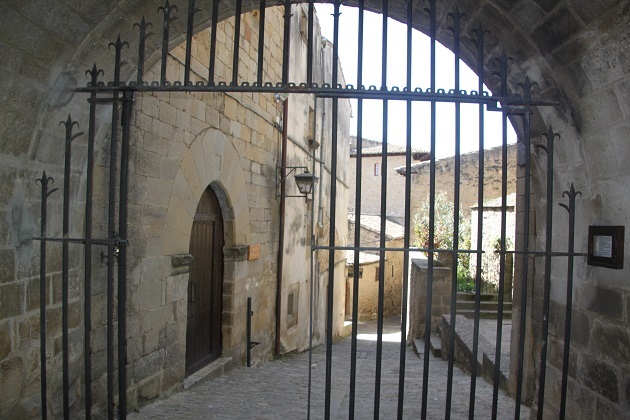 This was the birthplace of Ferdinand the Catholic King in 1452 – hence the name. 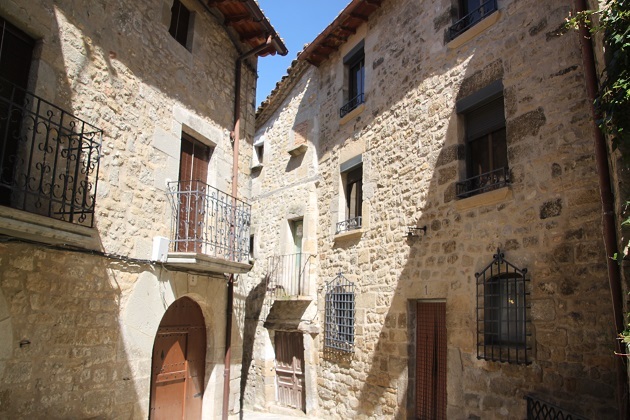 The kings of Aragon fortified the village with a thick wall and even today much of its medieval character has been preserved – the town is now a national monument. We parked, set off and just wandered. 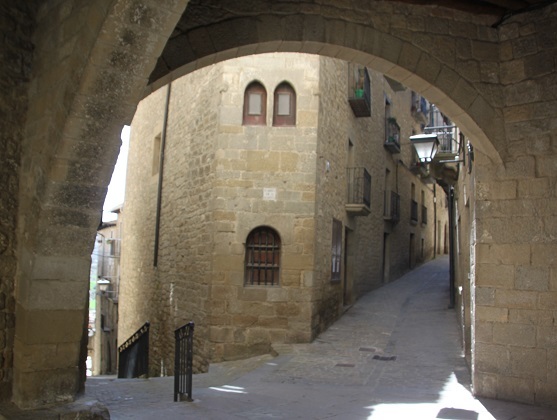 The streets are a maze of cobbled, twisting lanes with dark stone houses and deeply overhanging eaves. Much of the city wall and all of the gates are still intact and the medieval street pattern inside the wall is still there. We found the Romanesque church – closed unfortunately but checked out the watch tower. A shame really as the church has the font in which Ferdinand was baptised and a few other things of interest – we had to suffice with just reading about them. This whole place felt really untouched by time, in fact the only clue we were in the 21st century was the string of gigantic wind turbines along the spine of the mountain range behind the town. 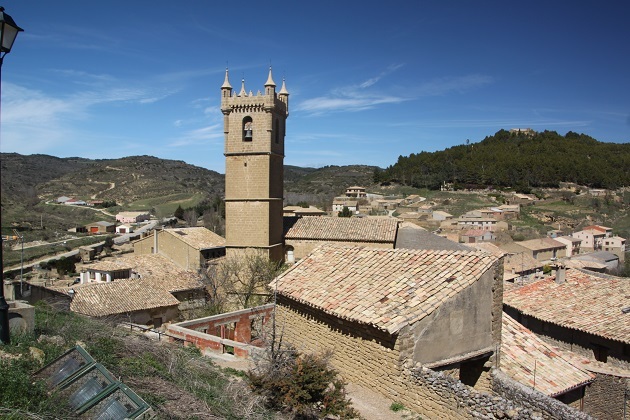 The village seems to grow out of the hill and at the very top is the keep tower – all that remains of a 10th century fortress that once held the Christian line against the Moors. We found the paradour just as we were leaving and decided to have lunch there. Steep steps to the entrance but gorgeous views and a lovely place – so peaceful. We (yet again) were the only customers and opted not to eat in the (very nice looking) restaurant but had sandwiches in the bar. Delicious with gorgeous garden views, we loved it here. A short drive later and we were in Uncastillo, the second of the villages we wanted to visit. Parking up by the side of the road we just wandered here too. Not on a hill but equally untouched by time we again were the only people walking the streets. We found an impressive castle fortress with a keep from the 11th century, soaked up the views and the peace before driving back to Zaragoza. These villages were so isolated you really needed a car to explore – we love these out of the way places. Went there many years ago – nice to see picture of it again! 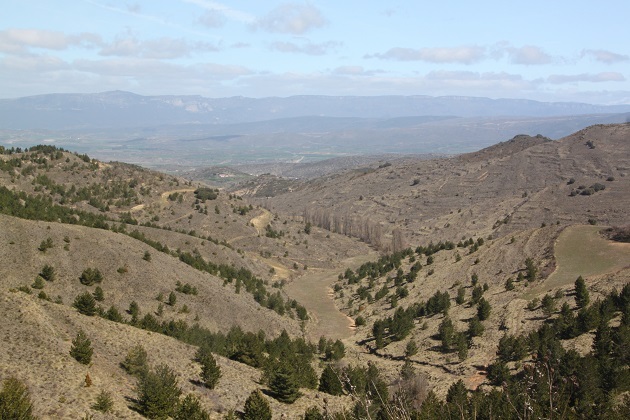 It’s a beautiful area, very unspoilt and probably not changed at all from your visit! This…. Is …. Awesome! What a landscape and the village. I love this kind of places so much! Stunning isn’t it Erika, untouched by time with those wonderful old houses and streets. Yes, right! Time stands still at that place! I love that! Beautiful scenery and so unspoilt. We love Paradours as well, they are always in the most delightful locations! This one was especially lovely and to have it all to ourselves as well was wonderful. beautiful landscape! and how nice to have the whole place for yourself! no crowds of tourists! 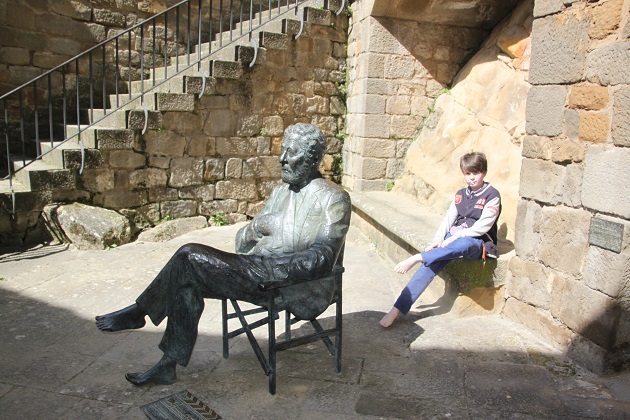 That was the best part – such a lovely place but way off the beaten track, we had such a lovely day here. How lucky we are to travel and experience so much of what the world has to offer. It’s such a beautiful and peaceful spot – we just loved everything about this little village. Have you been to Istria – definitely worth a visit, one of my favourite places!! What a lovely thing to save up for though – and to still have family there must be the icing on the cake! It’s true – it really does feel like last cal living when you become part of the village… My children had chores and errands just like all the rest. We hope to get back soon – maybe next summer? But my long term goal is to live a whole year “abroad”. Fingers crossed – reading your blog has given me lots of inspiration to do it! That would be quite something!! I’ve lived abroad for a year when I was a student and then worked abroad when I had my first job. It would be an incredible family experience. 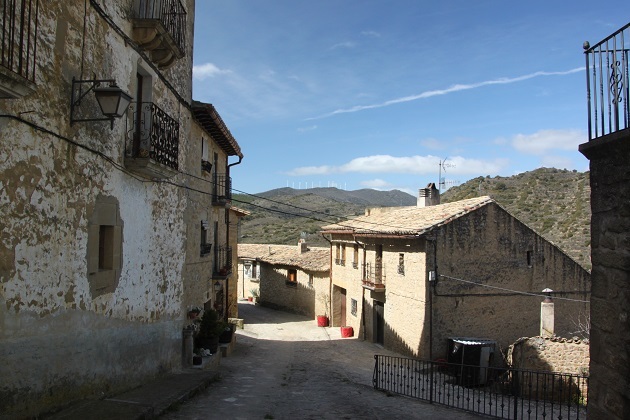 Wow, to visit such beautiful villages with no other tourists would be perfect for me! Loved this tour, Joy! We felt so lucky to have this wonderful little place all to ourselves Pam – I can’t believe it’s not full of tourists, so beautiful, a little hidden gem. What a lovely town, it must have been fun to wander the meandering streets and get lost exploring such a quaint town. It was such a lovely afternoon, these little places are just gorgeous and the fact they are right off the beaten track make what is already a great place even better Terry! You find the most amazing places that I never even knew existed! Once again, great photos! 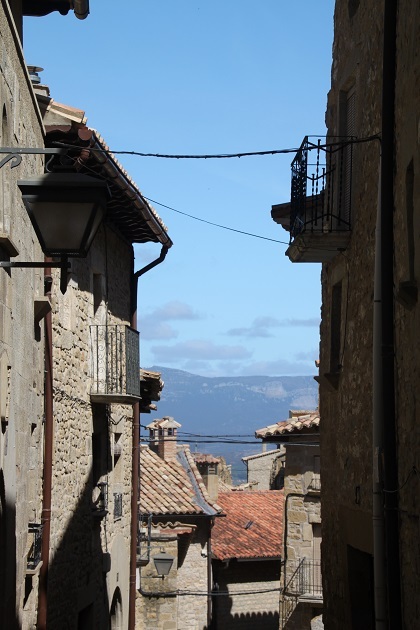 We didn’t know about these places either Melissa until our Spanish friends recommended them – so glad they did, they are absolutely gorgeous villages. Never heard of this place but looks stunning, I love the simplicity of places like this. Me too, having it all to ourselves as well was just perfect!! Beautiful photos! So neat to learn about all the history in these places! Thanks Hilary – this is such a gorgeous little village with so much intriguing history yet right off the beaten track – my kind of place! Enjoyed reading this! 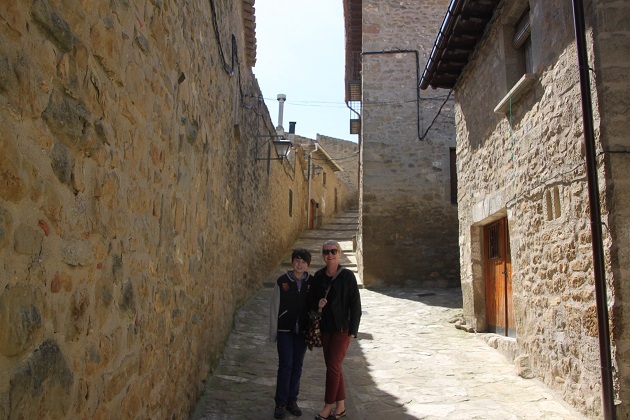 Nice to read a blog from another travelling family. BTW – thanks for liking my post on Yunnan, China! Thank you!! Your travels are a lot more adventurous than ours though – really enjoyed reading about this part of China, one I’m not at all familiar with, it sounds fascinating. Fabulous Joy! This is making me so upset we decided to not book Spain this summer. But I need to focus on getting my leg better. I need to catch up on all your posts now that I am back in the blogosphere :). Wonderful photos, Joy. 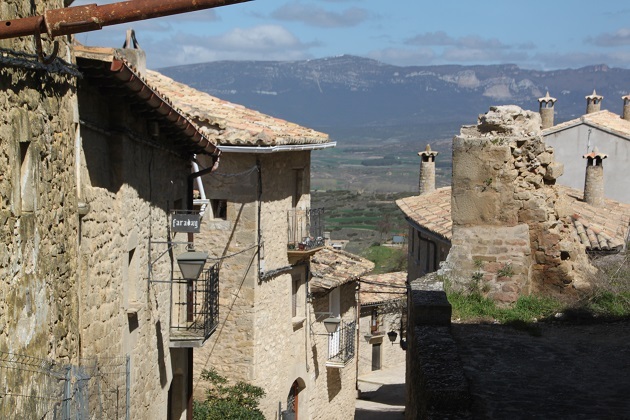 This is quintessentially Spain – the Spain I fell in love with before I moved there. Completely agree Susan, it is just stunning. This place looks so remote and almost abandoned. It must have been Interesting being in such a place. It’s like you had the whole village to yourselves. That’s pretty cool. We did have it all to ourselves George which was a really cool experience – just like going back in time!! It’s so beautiful and so peaceful, a special place indeed. Do people live there? It almost seems like a ghost town. It’s stunning. That made me laugh that Aragon is the most visited town and you only saw 4 people! The castle fortress in Uncastillo looks impressive. If it was siesta could you get anything from the shops? Think I would like to wander when it’s that quiet! Not even sure there were any shops here – we didn’t spot any but then everywhere had the shutters down so that might be the reason. It was lovely wandering with the whole place to ourselves though. That’s a beautiful, quaint, and charming town. It was so peaceful as well, having it all to ourselves was quite something.